It's December ... so, if you haven't already done so, now is the time to add a festive touch to your listing. This month for just $15 + GST for your listing and an extra *$2 + GST for each additional page (if required/applicable) we will add an animated Christmas image and message if required CLICK HERE TO PROCEED >> The image will be removed in January for no extra charge *Just let us know in your email if you want it added to any extra pages your listing may have. November Stats - 15259 Pageviews from 4822 unique visitors. Our most visited index pages, in order of popularity were: NEWSLETTER 135 - INDEX - NEWSLETTER 127 - ATTRACTIONS - BUSINESSES - INFORMATION - CLASSIFIEDS - ENQUIRY - ACCOMMODATION - SHOPPING - TIRAU. Site of the Month is Hinuera School and they receive a free direct click through and feature image from www.matamata-info.co.nz to their website. Appraisals, feedback, testimonials, reviews (whatever terminology you prefer) can help your website’s searchability. If you're running a brick and mortar business that depends on local traffic, you probably know that good feedback can bring more customers through the door. In the same way getting reviews - and not necessarily just good ones - can help your business rank better in the online search results. * Ninety percent of consumers consult the Internet before they leave home to make a local purchase. Yes, incredibly - 90 percent, according to digital marketing analysis firm eMarketer Inc. If your business has loads of reviews for people to read - and most are favourable, enthusiastic or at least positive – you are likely to get new customers. This is because 70 percent of people believe in the validity of reviews written by strangers, according to The Nielsen Co.
* Having reviews of your business in several places, including on your website, can improve your search engine optimisation (SEO) and help you rank higher in search results. That is because search engines now look at reviews as an indication of the importance of a business, so loads of reviews will likely result in more than one place on a page of search results. Check out our own website – www.wwwdesign.co.nz – at the time of writing this article, a search on Google for “www design” sees our site ranking at No. 1, 2 & 3 out of 1,280,000,000 possibilities - Click Here To View. I'm Not WWW Design, so how do I achieve this? It’s not that hard to get more of your customers to review you. Adopting just a few common sense practices can help your company's website, Google Places page and other listings appear higher in searches - and ultimately gain you more business. 1) Get your company listed everywhere on the Internet that relates to your business. 3) Provide great customer service so people will want to review you and this will ensure that the reviews are mostly positive. There have always been numerous directories and listing sites on the Internet, although the ones most popular with searchers tend to change over time. Google Places, Localist, NZ Pages are free – also if your business is listed in the phone book White Pages it should also appear on the WhitePages website, but there are paid directories that could be beneficial to your business eg. Yellow. There are a number of good local review sites for restaurants including DineOut and Eat Out. Try to use any site where you think your potential customers may visit. You can do this by Googling your direct competitors to see where they have been reviewed and make sure that you get some reviews on those sites as well. For example, if you sell garden products, then find some sites where keen gardeners exchange tips and list your business there. You should make it very simple for people to review your business. A good strategy is to create a special page for reviews on your website - for example, '''http://www.yourbusiness.co.nz/reviews''' - so people can leave their comments easily on your site. You can put the URL for that page on your business card, if you’re in retail you could print up a special thank you card with the reviews page printed on it, and slip it in with your customers' purchases when you bag them. Any business that has customers visit could create a QR code for your reviews page, print it up fairly large and display in your shop window or where your guests check out. A customer can then scan the QR code with her phone, and maybe even write a review of your business right then and there. Or have the QR code link to your Google Places profile where a review can be added. A QR code can be included on menus in a restaurant and on the bill given to customers who have dined. Once you've listed your business at the sites mentioned in the section above, you can also print the URLs for those listings on a card, or use QR codes, to make it easy for people to get to your review sites. It’s not rocket science - the best way to get reviews is to provide a good experience, service or product. Treat customers with courtesy and respect, provide a good product or professional service, and your reviews should be good. Simply ask for reviews - when someone tells you how pleased they are with your company, ask them if they'd be willing to put it in writing. Guide them to the location where you'd most like the review to appear. Making it easy for them makes it more likely they'll do it. Anticipate that things will sometimes go wrong, and give people a way to let you know what's gone wrong, so you can put it right immediately. 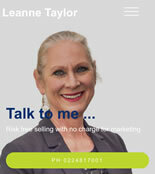 Display your contact details including phone numbers so they can be found easily on your website, so people can call you or make contact in whatever way best suits them - a "Contact Us" link on every page which takes the customer to a page detailing all contact options. It goes without saying that when people contact you with a problem, you must help them quickly and courteously. Providing quick and easy ways to contact you creates trust in people who visit your website. If you're willing to be contacted that easily, you must be trustworthy - the exact opposite of those dubious sites that provide no contact information at all. Another obvious advantage – assisting a dissatisfied or perplexed customer can convert them into an enthusiastic fan who is more than willing to give you a good review. And that review is one more building block for growing your online presence.